Science may be taking people to new heights. It gives them a platform that will help them achieve advancement and their lofty dreams. It makes sure that the society will be able to progress and ensure a better future. Art, on the other hand, has an equally important function. It makes sure that you are grounded. It makes you realize and appreciate the very nature of being human. This is why you cannot simply dismiss art. It is an essential part of life. However, many people think that art is just a caprice—a superfluous approach to life, meaning it is not practical. When you come to think of it, art does more than that. It always serves as a reminder that the human origins are humble. Some of the major functions of art include the fact that it tells a lot about what happened in the past—when cameras, computers, and the Internet have not yet existed. The cave paintings in France give insight into the primitive lives of the people during the Stone Age. Van Gogh’s paintings tell a lot about the idyllic life and his interactions with the people around him. Jackson Pollock’s drip paintings have a lot to say about his inner thoughts and some artistic movements during his time. Simply put, artworks can be used as archives. When words fail, beauty speaks. This proves true when it comes to artistic pieces. People may not have the same language, but when they see a piece of art, they will somehow form a connection with it. For one, you may not be able to speak Japanese, but if you see Hokusai’s ukiyo-e pieces, you will suddenly be given insight about what he wants to say. Art connects people, though each person has different interpretations on a specific piece. There will come a time in your life when you feel that life is full of chaos, sadness, and ugliness. When this happens, art will be your resolve. The pieces you look at serve as your beautiful distractions. It consumes you to the point that you will need to give thoughts on what you see and focus on what the art makes you feel. 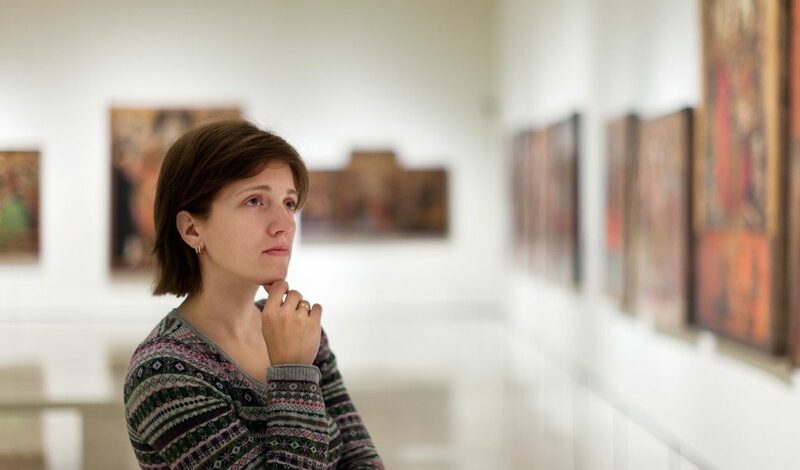 Some people have their favorite paintings and pieces to look at in case they want to forget something or they want to be pensive at the moment. Art can be a form of therapy. Creating something or pursuing an avocation gives you a chance to be distracted. It helps you become aware of yourself and be more conscious about how you want to make things good and beautiful. This is why many clinics and therapists use art as a medium for healing. You can read Eva Carlston reviews on how they do it. Art is more than just drawings, sculptures, and installations. Artistic pieces are somewhat fragments of an artist’s soul, which they have willingly shared. So the next time you see art, you are taking a peek of the world that is unseen and is only opened for the willing.